Please make sure that your order is correct before you process your payment for your order. Once an order is placed it CANNOT BE CANCELLED OR CHANGED. For quantities greater than 10+ is considered a special order and requires an additional 3 days to process. "COMMERCIAL USE! PROVIDE YOUR COMPANY UPS ACCT # IN COMMENTS SECTION". This is for commercial use only." We charge the $13.50 for labeling and packaging of large orders. Please note that we do not accept Purchase Orders for bulk orders. You will receive an invoice and certificate of analysis via email. Upon receipt of this email, please review and confirm the invoice is correct and that the C of A is approved. Per Mountain Maus' policy, all orders must be reviewed and approved in writing (email response) by the purchaser before orders will be processed. Please carefully review each material, specification, quantity, price and shipping address specified in the acknowledgement. Bulk orders are final and the purchasers are responsible for 20% restocking charge plus shipping costs for all returns. This is final and regardless if you submitted a Purchase Order, we will abide by our policies and not your companies policies. If you forgot to include your UPS account number we will contact you on the day your order is ready to ship. If you selected this shipping method in error, we will contact you and let you know the difference in shipping cost prior to shipping your order. When you place your order it is sent directly to order fulfillment and your order is pulled, filled and packaged. We will then contact you on the day we are prepared to ship your order for the difference in shipping cost. If you choose to cancel your order because of this, please refer to the paragraph below. If you place an order and then later decide to cancel after your credit card has been processed there will be a restocking fee of 20%, and will be deducted from the amount we credit back to you. NO EXCEPTIONS! We charge this restocking fee because of the amount of time it takes to prepare your order, heat seal the bag we place your herbs in with the weight of the product you selected, printing of your invoice and product labels. Preparing your order is labor intensive and takes time to process. Please carefully review each material, specification, quantity, price and shipping address specified in the acknowledgement (this is the email sent to you with the Certificate of Analysis attachment). Bulk Orders - You will be sent the C/A prior to your shipment, if we do not hear back from you via email, your order WILL SHIP, your order is FINAL and you acknowledge and accept the specifications of the product your ordered. Acceptance of the C/A specification is your acknowledgement that you approve the C/A prior to shipment. US Customers may return most new, unopened items within 15 days from the invoice date for a refund. We'll also pay the return shipping costs if the return is a result of our error (you received an incorrect or defective item, etc.). If you decide to return your Bulk Herb Order you have 15 days from the invoice date to return your bulk product and the purchaser is responsible for a 20% restocking charge plus shipping costs for the return. If you claim the product that was shipped to you did not pass your product testing. You have 15 days from the date of your invoice to return your bulk product. Please supply your testing results. Once your product is received, we will ship it back to our supplier for testing. If the test performed meets the specifications originally submitted you will not be refunded. We will notify you via email and will have 15 calendar days from date of notification to provide payment for postage for returning the product back to you. If after 15 calendar days has passed and no provisions of payment has been received, the product will then be disposed of. If you still would like a refund for the product you sent back, you will only be refunded the amount of product that met our return policy less the 20% restocking fee and shipping cost. If the test performed by our supplier does not meet the specification originally submitted you will be refunded the amount of the product returned that met our return policy requirements. Qualifying returns are eligible for a refund to your credit card. Please let us know the last four digits and expiration date of the original credit card used for the purchase. If you paid for your order with a check/money order, we can issue a refund in the form of a company check 30 days after your invoice date – although you are welcome to make a return anytime within the 30 day period. 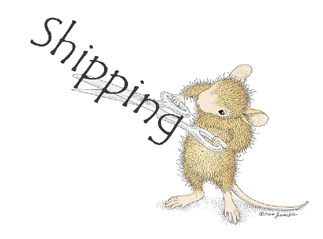 All shipping charges become the sole responsibility of the customer, unless it is the error of Mountain Maus' Remedies. Any refused or non-deliverable packages will be canceled upon receipt and will be subject to a return-shipping fee by the carrier and this fee will be deducted from the refund amount for the products. Original shipping is non-refundable. We are not able to honor requests for product exchanges but will give you a store credit only on unopened packages. Returned items must be in their original, unopened/undamaged packaging. Mountain Maus Remedies cannot accept opened/un-used portions of herbs because the herbs have been exposed to an uncontrolled environment and Mountain Maus Remedies would not be unable to guarantee the herbs for re-sale, restocking or for other human consumption. Before any herbal products are allowed into our facilities, we request a "pre-ship" sample for analysis. This sample is analyzed using organoleptic (sensory) and laboratory methods, and if approved, it is authorized for order. When the herb we ordered arrives at our facility, it is immediately quarantined for QC review. At this point, a qualified Quality Control member will extract samples for immediate testing in our laboratory. All of our herbs have passed HPTLC which is the primary chemical test for identification of all pharmacopoeia monographs on botanicals (including USP). Therefore, we do not accept returns on products that you have opened and sent out for testing. We do not accept returns of opened essential oils, cough drops or lozenges. The tamper evident safety seal must remain in order to qualify for a return. PO Box 411, Elbe, WA 98330 or , UPS or FedEx to 197 Rainier Vista Dr. Mineral, WA 98355. Please do not return products that do not meet the return criteria listed above, as we will not be able to issue refunds for non-qualifying items. If you return products that do not meet the return criteria listed above, we will notify you that the product does not meet the return criteria, you will have 15 calendar days from date of notification to provide payment for postage for return shipping to you. If after 30 calendar days has passed and no provisions of payment has been received, the product will then be disposed of. All discrepancies, shortages, broken merchandise and any requests for returns must be made within 15 days of the issued invoice date. Any requests for compensation or remediation will not be accepted after 15 days of the invoice date. Although our site will not tell you in your herbs are in stock or out of stock, we will do our best to get your herbs to you in a timely fashion. If your herbs are in stock, they will be shipped the following day (excluding weekends and holidays). If your herbs are not in stock, we will fill your order within 3-7 days.. If your shipping cost comes out to be less than you paid when you made your purchase we will issue a credit to your account to use towards your next purchase for shipping overages. Some herbs are by special order only due to availability. These herbs if available will be shipped within 7-10 days from date of purchase. All special order items are non-refundable. BULK ORDERS OF 2 LBS OR MORE: Please carefully review each material, specification, quantity, price and shipping address specified in the acknowledgement (this is the email sent to you with the Certificate of Analysis attachment). **Bulk Orders - You will be sent the C/A prior to your shipment, if we do not hear back from you via email, your order WILL SHIP, your order is FINAL and you acknowledge and accept the specifications of the product your ordered. Acceptance of the C/A specification is your acknowledgement that you approve the C/A prior to shipment. See above for more detailed information. Standard methods - VISA, MasterCard, American Express, Discover, and PayPal. Checks - We will accept your personal or company check, but it must clear the bank before we ship your order. Wire Transfers - Larger orders from outside the US may be required to use Wire Transfer instead of credit card. In these cases, the wire transfer information will be sent directly to the purchaser, and the shipment would be made as soon as funds arrived in our bank account. There is a $40.00 processing fee added to the order. All currency shown on our site is in USD. If you place an order and then later decide to cancel after your credit card has been processed (i.e. Buyers Remorse) there will be a restocking fee of 30%, the return shipping fee and original shipping cost will be deducted from the amount we credit back to you. NO EXCEPTIONS! We charge this restocking fee because of the amount of time it takes to prepare your order, heat seal the bag with the weight of the product you selected, printing of your invoice and product labels. Preparing your order is labor intensive and takes time. Please make note that if you select the shipping method "COMMERCIAL USE! PROVIDE YOUR COMPANY UPS ACCOUNT" # IN COMMENTS SECTION". This is for commercial use only." If you forgot to include your UPS account number we will contact you on the day your order is ready to ship. If you selected this shipping method in error, we will contact you and let you know the difference in shipping cost prior to shipping your order. If you choose to cancel your order because of this, please refer to the paragraph above. If your package was returned to us because because it was undeliverable as addressed (you provided an incorrect address or you contacted UPS or USPS to re-route your package) or you failed to claim your package, there will be a restocking fee of 30% and 2.5%(MC, Visa) credit card processing fee and original shipping cost will be deducted from the amount we credit back to you. NO EXCEPTIONS! In the state of Washington we are considered a "Small organic farms and businesses (gross agricultural income from organic sales does not exceed $5,000 per year)" therefore we are not required to be certified organic. For reference you can go to this link here. All of our organic product we receive from our suppliers are not opened or repackaged, it is re-labeled, re-weighed to ensure accuracy, placed in a controlled environment and immediately shipped the following shipping day. If you place an order for organically grown or wild crafted bulk then later decide to cancel your order because we are not "certified organic" you will be charged a 30% restocking fee, 2.5% (MC, Visa) credit card processing fee, and original shipping cost will be deducted from the amount we credit back to you. NO EXCEPTIONS! We cannot offer exchanges on orders shipped internationally. Orders shipped internationally cannot be returned to our stores for exchange or refund. It is recommended that when you place your order that you inquire about additional insurance for your purchase. If your international package is lost in transition from our shop to your address and you did not request insurance, you are responsible and your order will not be re-filled or refunded. Unforeseen circumstances can happen and we apologize if this does happen, but once your package leaves the United States, we have no way of tracking your package for you or obtaining information on your shipment. If you purchased additional insurance for your package, please contact your local post office and file a loss claim. When your package reaches your country, it may be subject to customs fees and inspection. It is your responsibility to pay the fees imposed by your country. If your package is confiscated for any reason, your order will not be refunded or will it be replaced by Mountain Maus' Remedies. Your package may also be opened and inspected by a customs agent. We are not responsible for damage done while in this transition, this is a risk that you as a customer takes when ordering internationally and customs is involved. We go to great lengths to ensure that your order is correct, properly packaged, and well protected. Despite our best efforts, damage sometimes occurs during transit. All Glass bottles are wrapped with bubble wrap and packaged to eliminate breakage. If your tinctures or other glass product is received broken contact your delivery service and file the appropriate claim. Your order will not be refunded. If you or your country's customs rejects your shipment, or your package is deemed as undeliverable by the shipping company for any reason, we will refund you for the refused items once they are returned to us in re-sellable condition; however, you are responsible for your shipping charges plus any other fees that may apply. If additional fees do apply, they will be taken out of your refund. If you feel the error is due to a mistake on the part of the shipping company, you will have to speak with them directly about getting your fees refunded.